Hi everyone! 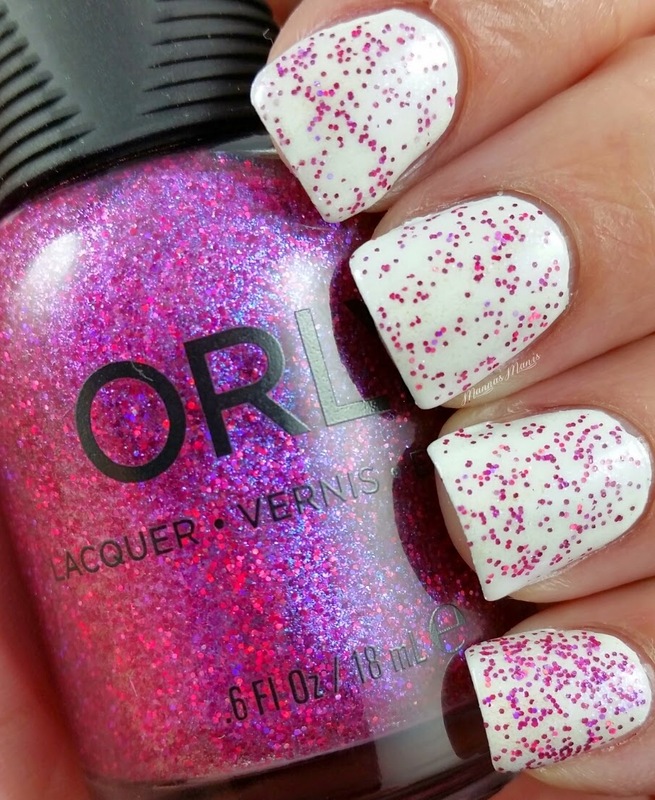 Today I have the GORGEOUS Orly Christmas Sparkle Collection swatches for you! 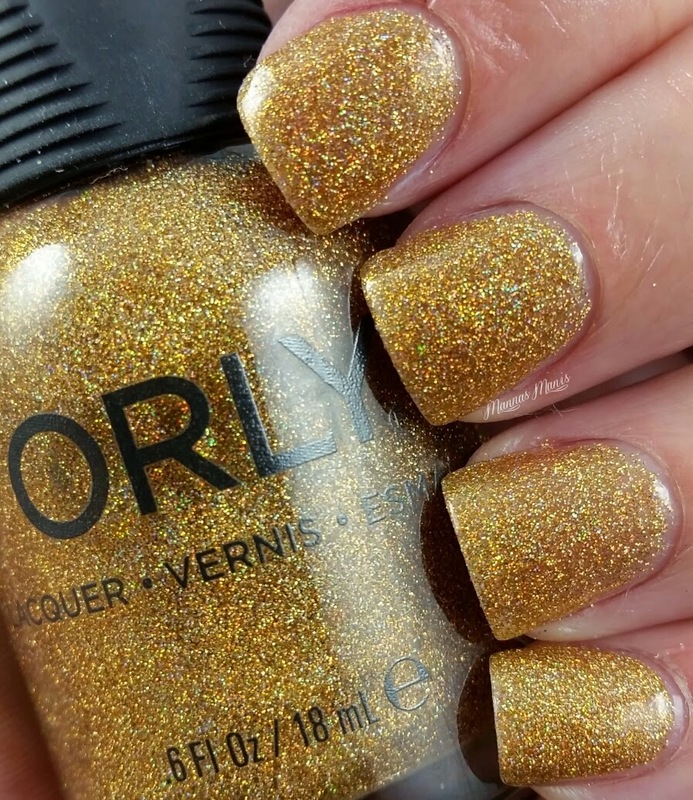 I'll admit it..My name is Manna and I'm an Orly fan girl! They are my absolute favorite 'mainstream' brand, and I try to get every collection they release. I had been waiting (im)patiently for a while for my local Sally Beauty Supply to release the collection, and I finally got lucky the day after Halloween. She didn't have them out yet, but let me go into the back and get them. I'm kind of a regular there, and they know me..no surprise there huh? Ha! First up is Explosion of Fun, and that it is! It's a gorgeous fuchsia/holographic glitter with a purple/reddish shimmer. This can be used as a base or as a topper, I chose to put this over white because it is a tad bit sheer. If you wanted to, I'm sure 3 coats would give you full opacity. 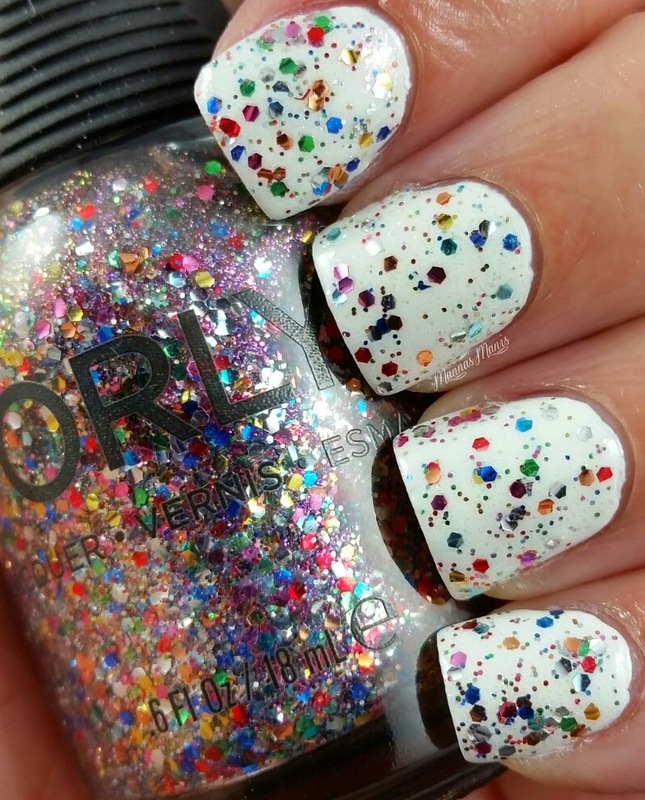 I put more on my pinky to show how it would look with 2 coats, the other fingers have one coat over Sinful Colors Snow Me White. Steal the Spotlight is a teal microglitter with pink holographic hexes. B-E-A-U-T-I-F-U-L! This is probably my favorite from the collection. 3 coats for full opacity here. Bling is a gold micro holo. 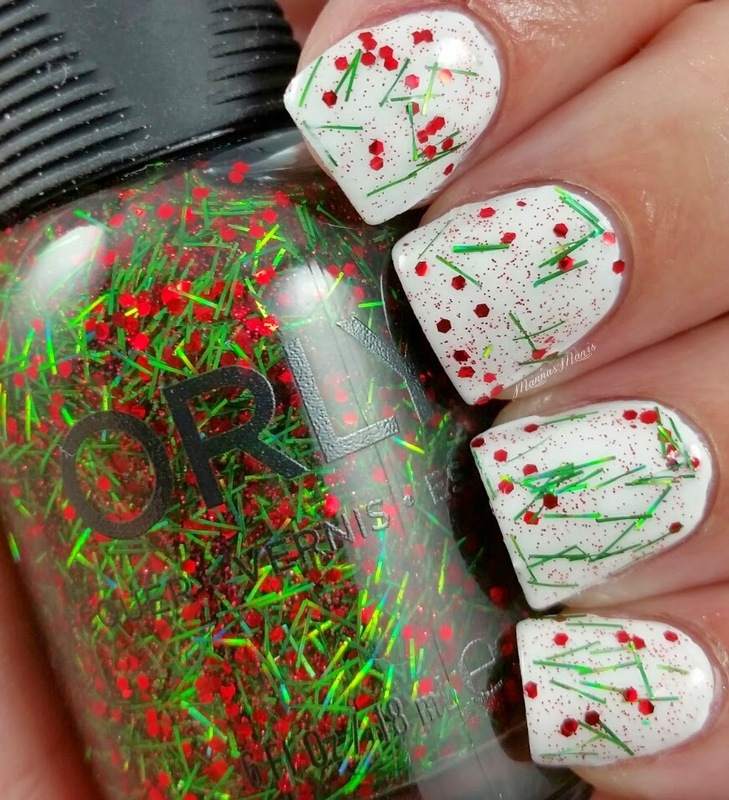 It can be worn as a topper or as I prefer it, 3 coats! I think this would look good over a denim blue though. I was pleasantly surprised by how beautiful it is. 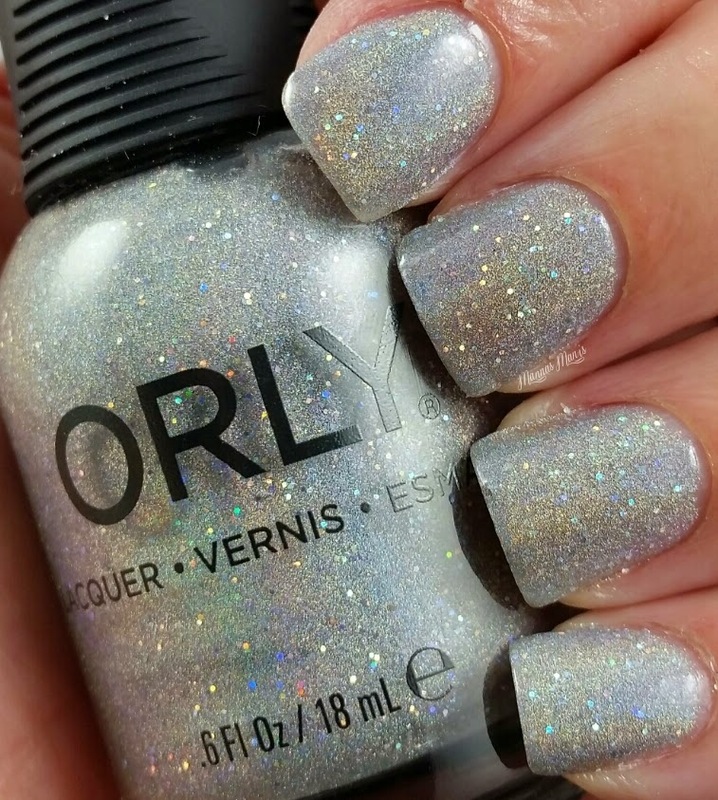 Mirrorball is a silver micro holo glitter. This is the one everyone is going nutso for, and rightfully so, it's amazing! Like it's sister polish, Bling, it can be worn as a topper or how I prefer it, 3 coats. I've had fun holding my hands in the sunlight while in the car with my husband and saying "IS IT BLINDING YOU?!" He didn't find it as amusing as I did. 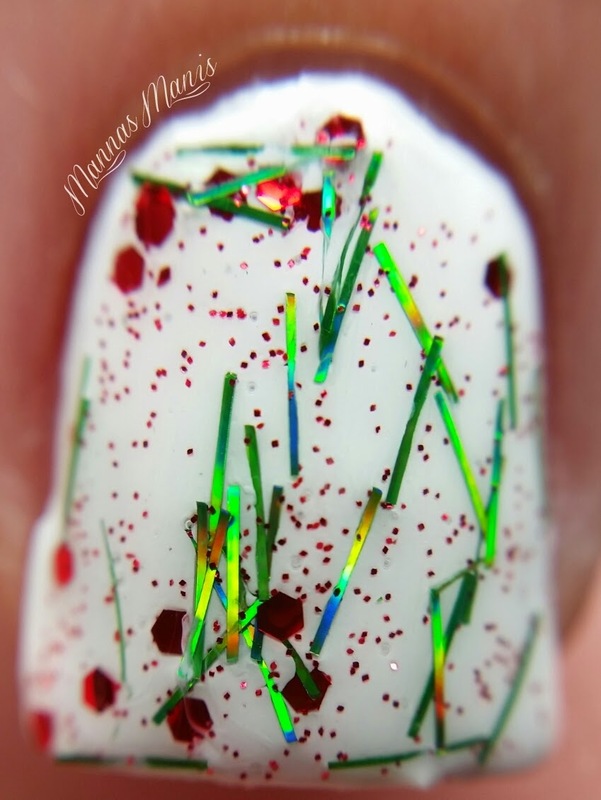 Tinsel is a red hex glitter, green bar glitter, and red shimmer. It was a bit difficult fishing around for the glitters, and sometimes I had way too much green bar glitter and not enough of the other pretties! I did one coat over Sinful Colors Snow Me White. 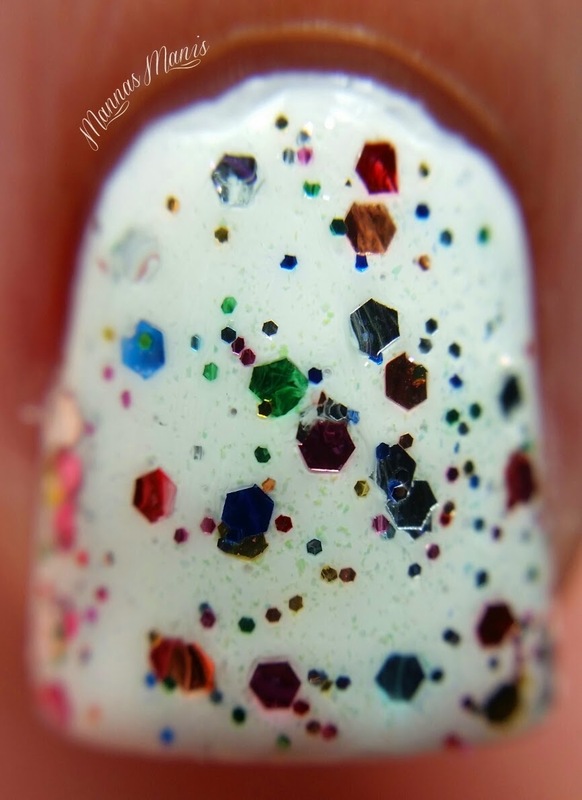 Glitterbomb is multicolored micro and holo hex glitters. Definitely a topper! Be sure to turn the bottle upside down and rub it between your hands to get all the glitter towards the top. Some glitter fishing required. It would look good over any color, but to show the detail I put it over Sinful Colors Snow Me White. Application was smooth and easy for all of these pretties. I highly recommend you add these to your collection! You can pick these up at Sally Beauty Supply for $6.79 a piece if you're a Sally member, or you can purchase them online at Orly for $8.50. I posted my review of this collection on my blog (Italy). Take a look at it, if you like. I picked up Steal the Spotlight and Mirrorball last weekend. Love them both!